We recently received a shipment of unusual bird’s nest ferns. We have several “crinkled and cut” varieties as well as the original smooth leaved variety. 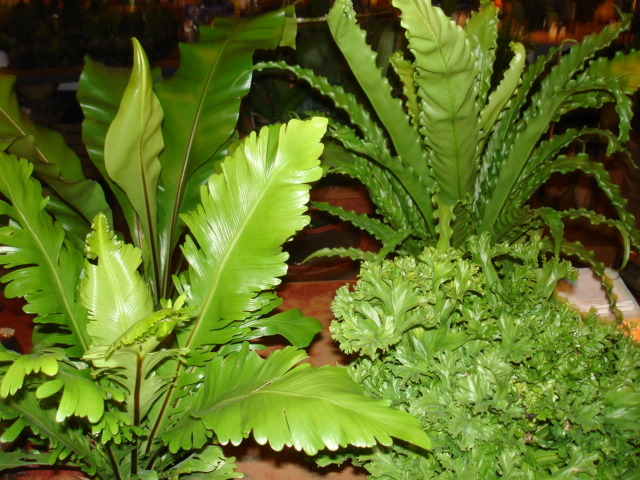 Bird’s nest ferns are easy to care for, don’t require any special care, and will grow quite large. Give them bright filtered light and keep slightly moist. Categories: Decor, Indoor Plants | Permalink.